This doesn’t spell the end of Kerbal Space Program, instead we’re about to see the start of the game’s beta. Squad say that with all the systems in place the team can finally get to work on adding content. Lots, and lots of content. 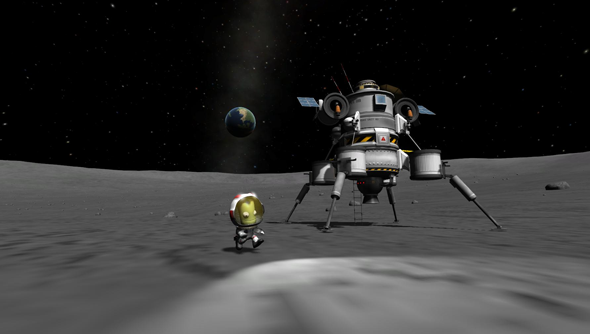 “As soon as the next update is released, KSP will enter a new phase of development, which for want of a better term, we’re calling ‘Beta’,” Squad write. “There shouldn’t be any huge frameworks that we have to build for months on end and still have to release with barely more than enough content to showcase the system. “We’ll be focusing on creating content, on using the tools we’ve built. It means a different approach to selecting which features go in, since we won’t be constrained by the development constraints of one feature requiring another. Priorities should level out, which means the things we consider important should also match what everyone considers important. Beta essentially means we’ll be working a lot more on stability, usability, performance, balance, aesthetics, all the while still throwing in little and some not-so-little things we hope you will enjoy. This move into beta doesn’t mark the end of Kerbal development and Squad are saying that moving out of beta won’t either. “When we hit 1.0, KSP will be coming out of Early Access” but features like multiplayer are planned for release after 1.0. We’ll have more details on the next update as they’re revealed.